Clare Palmer takes up Andrew Linzey’s case for the “theos-rights” of God’s creatures in her essay “Animals in Christian Ethics: Developing a Relational Approach”. Palmer’s discussion begins with the general feminist critiques of other rights-based approaches to animal ethics. She focuses on the utilitarian philosophy of Peter Singer and on the deontological approach of Tom Regan. She draws out the relevant similarities between Linzey’s theological account and theirs, illustrating how the arguments raised by feminist ethicists against both Singer and Regan apply equally as well to Linzey. Linzey’s case, she argues, is problematic on two fronts. First, she takes issue with his theory of rights, and second with his analysis of power relations. Like all “rights-based” ethics, Linzey’s argument from the theos-rights of animals tends to overlook important differences (e.g., between individuals, species, contexts, etc. ), as well as the particular relationships that individuals have to one another, as ethically insignificant. Moreover, his univocal characterization of “power”, considered as a singular, monolithic concept overlooks what Michel Foucault referred to as the “micro-physics” of power. Instead, Palmer suggests a “Christian relational ethic of care” for animals; one that makes these concerns central to the discussion of our moral relations to animals. Palmer’s concerns succeed in bringing to light a number of important considerations that rights-based approaches often seem to overlook or downplay. Her emphasis on the particularities of specific relationships, a concern that she picks up from feminist critics as much as from Christian theology, also offers an important way to deal with some of the more troubling dilemmas that have been posed by critics of animal rights. Nevertheless, her rejection of rights-based theories is too strong, and her claim that rights-based theorists are incapable of taking important contextual differences into account is in particular premature. Perhaps a compelling case could be made for an integrative approach; one that draws on the strengths of rights-theory as well as a more “relational” ethic of care. In the essay “Theology as if Animals Mattered” Andrew Linzey, who’s work represents the single most extensive theological engagement with animal welfare to date, confronts some of the challenges that the issue of animal welfare poses for Christians in particular. Christian theology, he argues, has been slow to address the growing concern for animal welfare, often marginalizing the plight of animals as a non-issue. 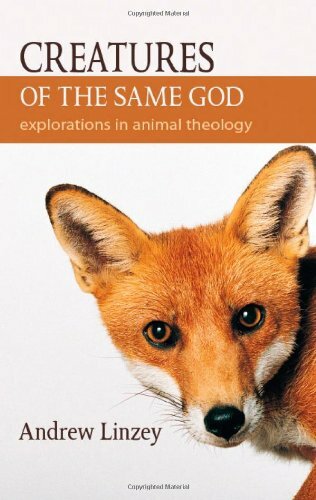 As the case for the moral significance of animal welfare gains an increasingly strong basis in philosophical reason, for Christians the issue of the moral status of animals remains “at a stage somewhat similar to the feminist issue forty years ago” (p.10). Linzey here has in mind a time when many Christians were vehemently opposed to equal rights for women. Linzey laments the anthropocentricity in much of Christian ethics, seeing it as a myopia so deeply ingrained in our thought today that many now find it difficult to think of animals as existing for any other purpose than as resources for human utility. Linzey takes particular issue with two facile assumptions about how animals must be understood in Christian theology: First, he addresses the idea that the bible lends support to human supremacy, and second, with the idea that it endorses the view that animals are made for human use. Citing a number of biblical passages, he shows that the assumption of human supremacy can only be considered faithful to the biblical story in a “highly qualified way”, and that the second claim, that animals are made for human use, is unequivocally unbiblical. Linzey suggests that to the degree that Christians seek to be sound in their theology they should strive to supplant their anthropocentric conception of animals (indeed of the cosmos!) with a theocentric one.